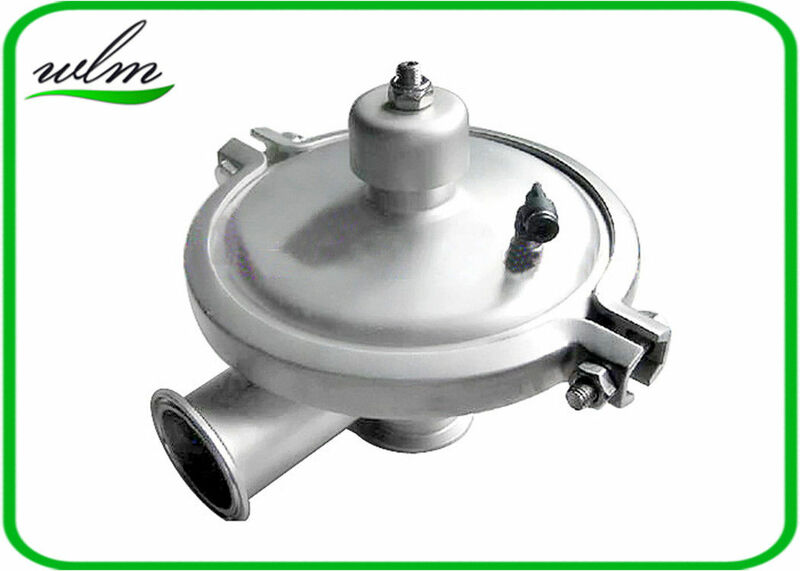 This Sanitary constant pressure regulating valve is used to automatically keep the pressure in hygienic pipeline or tanks at the fixed value. It has tri clamp connection end, which is quite easy for intallation and can be disassembled anytime. It brings much more convenience for daily repair and maintenance. It offers perfect flow and is very friendly for CIP process. Direct regulation is also available. The sanitary constant pressure regulating valve has an compressed air control unit, which supplies air to push the valve disc to proper position, in order to achieve a certain medium pressure and flow rate.